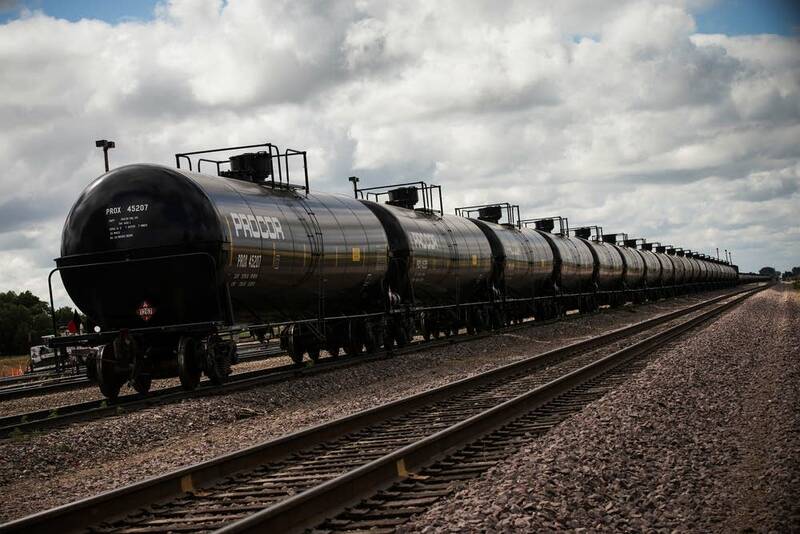 North Dakota environmentalists want oil companies to reduce volatile gasses in Bakken crude. Regulators, however, say they're taking a different tack that's cheaper for the industry and still improves safety. Instead, state inspectors starting Wednesday will check oil at well sites to make sure the vapor pressure runs no greater than 13.7 pounds per square inch of Reid Vapor Pressure, the measurement standard of volatile gases in crude oil. Oil involved in a recent West Virginia derailment and explosion had a vapor pressure slightly higher, 13.9 psi. The North Dakota standard is tougher than the 14.7 psi federal standard for crude oil, although it's still more volatile than gasoline sold in Minnesota in the summer, which has a maximum vapor pressure of 9. The industry disputes that Bakken crude is more volatile but says most North Dakota crude meets the new standard already. "I think a lot of people have wondered well, is this going to cure the problem. And our answer is that by itself, it is not the cure," said Lynn Helms, director of North Dakota's Department of Mineral Resources. "If you combine our lower vapor pressure standard with the these high capacity relief valves we should be able to get away from these boiling liquid explosive vapor incidents which create the large explosions if and when we have a derailment," Helms added. "The bottom line profitability of the oil industry is trumping all the rest of us, our safety," said Don Morrison with the North Dakota environmental group Dakota Resource Council. Much of the light crude oil in Texas is stabilized before it's shipped, he added. "To stabilize the oil so it is safer like they do in Texas, oil companies are going to have to spend some money. That is true. But isn't that the cost of doing business?" "Anybody who's kind of hoping that somehow there's going to be this magic bullet or some new set of federal regulations that's going to make this situation safe," he said, "I have bridge in Brooklyn I'd like to sell you."